Marketable Skills. 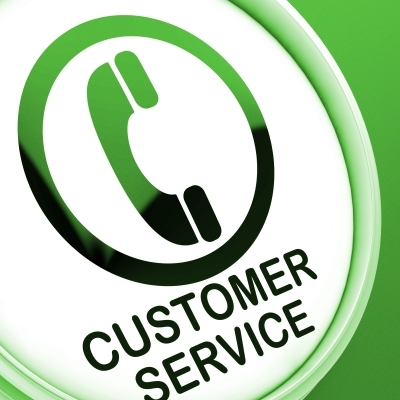 Customer service skills are an asset in any job. Every position has a customer and if you can demonstrate that you are focused on your customer’s needs, it will make you attractive to potential employers. References. There’s no getting around it; if you want to get a job, you need at least two solid references. If you don’t have any, or you only have one, a customer service position is an excellent way to find people who are willing to sing your praises. Just remember to always be professional and to focus on building those relationships. Work Experience. There is no doubt that customer service jobs are in demand, but the great thing about that is that even if you have a customer service job, you are still building other skills. For example, a customer service representative will likely be responsible for some filing, data entry, preparing documents, and other tasks that would be transferable to an administrative role. The key is to keep track of all of the experience that you acquire and to pay attention to the positions that may require those skills. Networking Opportunities. When managers are looking to fill a position, the first thing they do is consider their current employees. If you can get your foot in the door of a good organization, you may be able to move up the ladder to higher positions. Try to be strategic and to build connections wherever you can. Also, if you talk to people about your career goals, they may help you identify potential opportunities. Customer service jobs are not the most glamorous positions, but don’t discount them. Every company’s survival depends on strong customer service and if you can do this well, it is a skill that will make potential employers notice you. Next Article I Just Started a New Job and I HATE It!